Happy Monday! Hope you all had a great weekend! I am showcasing pajama style with a twist for today's look. When it comes to styling pajamas, you can pair it together or separetaly. 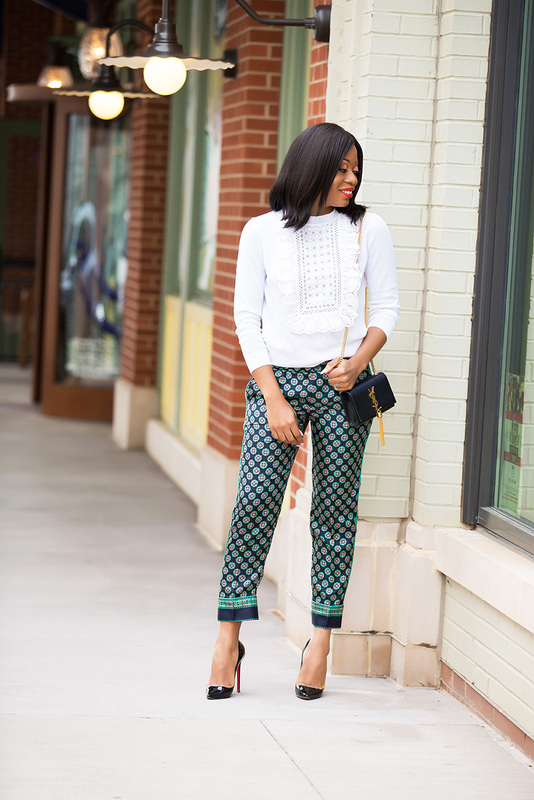 This JCrew silk pajamas style print pants is amazing! 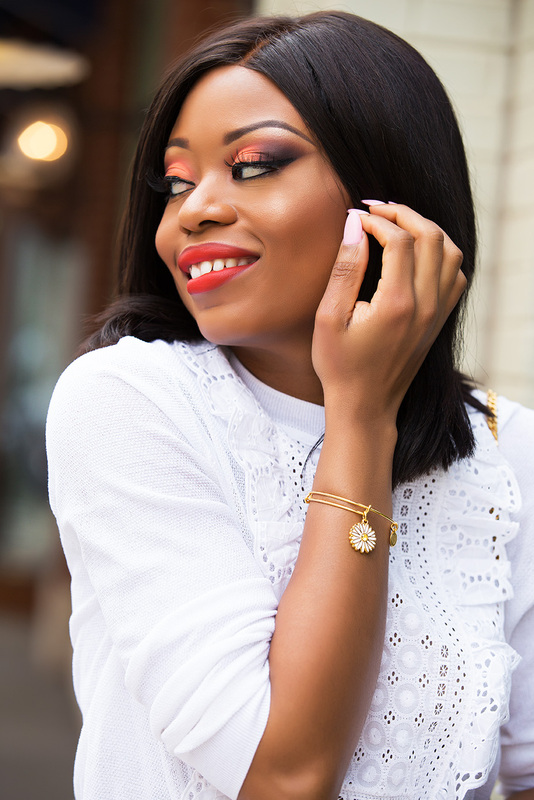 In addition to the fun print, I love the ankle length and it has a matching top which looks amazing when paired together; for today's look, I styled separately. 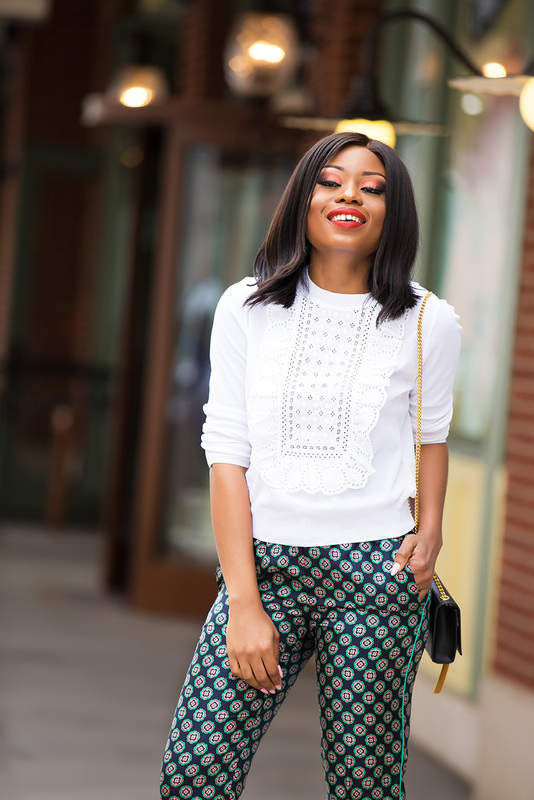 There are so many ways to style pajama style sets. You can style casually with flats or formally with button down shirts or a blouse. 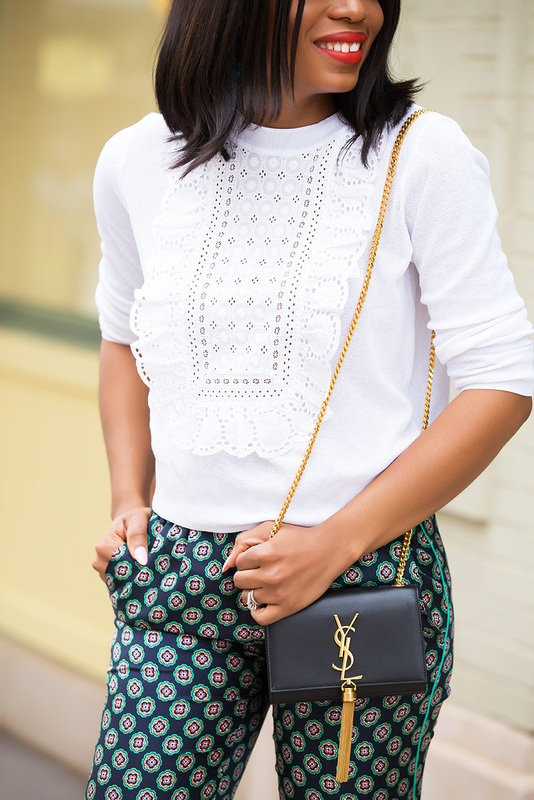 With the current fluctuating spring weather, this eyelet "lace bib" top was the right choice. The eyelet sweater is a light summer-weight cotton which makes it appropriate for the current season. 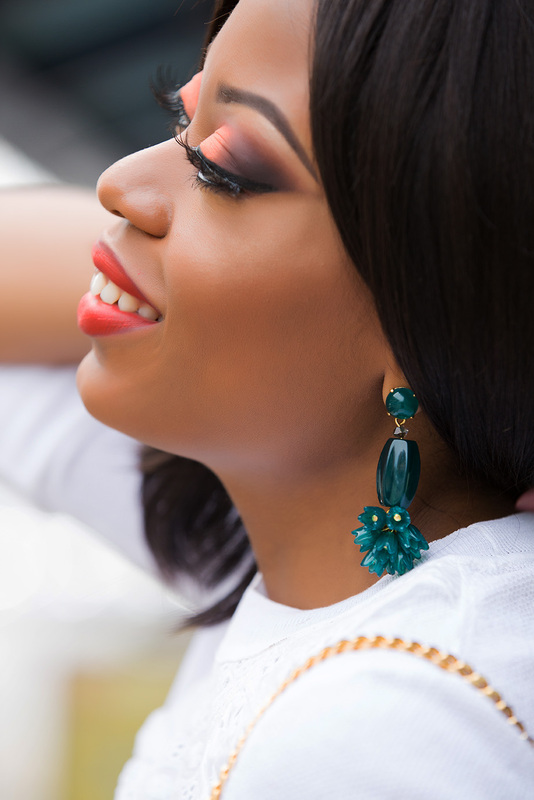 I completed the look with a bold lipstick, green drop earrings, black pumps and a bag to complement the silk print.